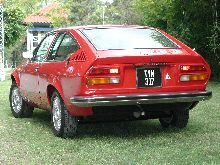 Alfa Romeo added a coupe version of its Alfetta Saloon to its range in 1974. 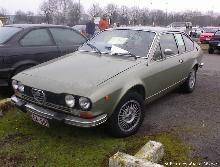 The Alfetta GT had a slightly shorter wheelbase than the saloon, but retained the same mechanical layout which included a twin-cam 1.8 litre engine and a rear trans-axle. 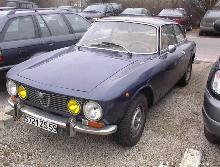 The coupe bodywork was instantly recognisable as an Alfa Romeo, the trade mark grille adorned the front. 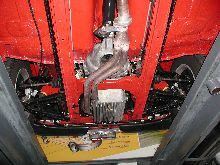 The interior of the Alfetta GT was well appointed and featured a rather curious centrally mounted speedometer. 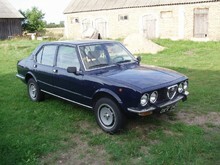 Production of the Alfetta GT continued until 1976. 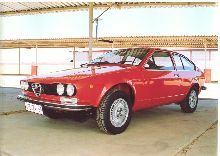 Buyers Guide Alfa Romeo Alfetta (1974-1987) featured in Practical Classics October 2002 – available from our sister site Bookbase. Click here to view.